Update, March 2: The Chicken Dinner Challenge has been successfully completed. A PlayerUnknown’s Battlegrounds player has completed the Chicken Dinner challenge. Andrew Panton’s challenge ran throughout February, and meant that the only food he would permit himself to eat were the chicken dinners he earned in-game. 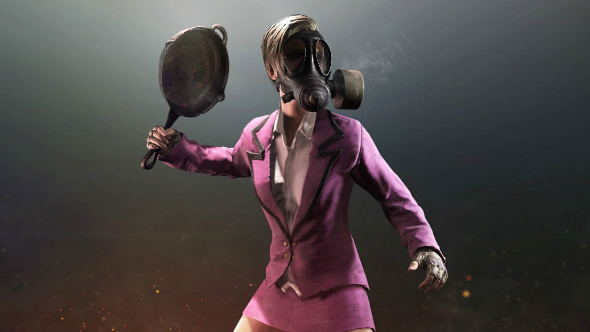 According to PUBG Corp, Panton’s chicken dinners are just a few in the 130 million that have been served so far. Miraculously, Panton managed to complete the challenge, securing himself 30 chickens over the 28 days in February, maintaining an average of over one win per day. Despite managing to secure consistent chickens, however, Panton says the challenge did take its toll. The downsides weren’t just physical, either. Panton says that “beyond all the physical, the mental stress of constantly feeling the pressure to win was brutal,” and his daily streaming schedule meant that he couldn’t fit a personal life in if he wanted to eat. Original story, February 7:In 2004,Super Size Mefollowed the misadventures of Morgan Spurlock as he ate only McDonalds for breakfast, lunch, and dinner for an entire month. Despite its very modest budget, it made more than $20 million at the box office and was nominated for an Oscar. But that was 14 years ago, and so it’s time for a brand-new challenge to capture the hearts and minds of one of the internet’s biggest player-bases. The Chicken Dinner Challenge is the brainchild of Andrew Panton, who works on the creative team at Achievement Hunter. For the entire month of February, Panton is limiting his diet to only what he is able to catch in PUBG. If he wins a match, he is permitted to eat one roast chicken, but if he doesn’t manage to win a game, he goes hungry. When I spoke to him, Panton told me that the Chicken Dinner Challenge was inspired by the fact that “the pursuit of the chicken dinner has been one of the most relatable achievements in recent years for gaming. Everybody remembers the first one they got or the close misses.” The challenge began as a full meal, earned across three different battle royale games in a 24-hour window, but quickly evolved to the current format. The rules of the challenge are simple, but punishing. They state that Panton; is “allowed to stack chicken dinners, and have the ability to cash out wins” whenever he wants; that he “will only play solo” (except on Saturdays, when he plays duos); and finally, that his “only source of food will be chicken dinners, meaning roast chickens. No sides, just chicken for the entire month.” At the time of writing, Panton has been undertaking the challenge for six days, and has been surprisingly successful. For each of the first five days he managed to earn himself one chicken. Yesterday, however, he won two games, securing himself an extra meal, should he need it. Andrew is currently on the seventh day of the challenge, with another three weeks of Chicken Dinners to get through. He’s streaming his efforts over on Twitch from 17:45 PST every weekday, as well as over the weekends, and posts updates every day announcing his winnings.